Annular pancreas is a rare condition in which some of the pancreatic tissue outgrows and surround the duodenum. This extra tissue arises from the head of the pancreas. This causes constriction of duodenum thus blocking the flow of food to remaining part of intestines. 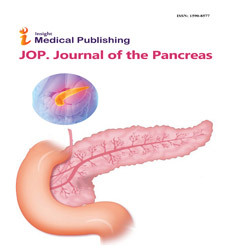 The frequency of occurrence of annular pancreas is 1 out of 12,000 to 15,000 newborns. It is usually occurs due to abnormal or extra embryological development. However some adult cases have also been reported. Early signs of abnormality include polyhydramnios, low birth weight and feeding intolerance immediately after birth.